La Griffe du Lion has a lot of great articles explaining phenomena via math, so if you haven’t read them already, I strongly recommend that you do. 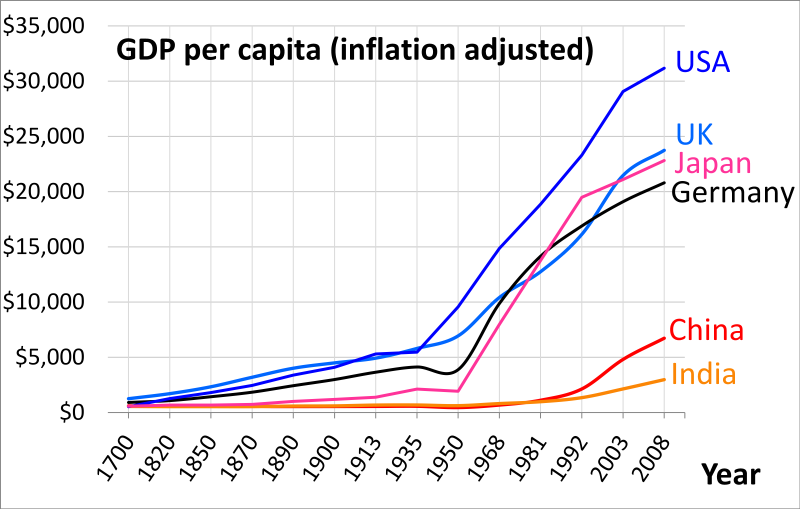 One wonders what this data would look like if we looked backwards, at per capita GDP in, say, the 15 to 1800s. According to the Guardian article about the paper British Economic Growth 1270-1870, “estimates that per capita income in England in the late middle ages was about $1,000 or £634 a year when compared with currency values in 1990. “The %GDP of Western Europe in the chart is the region in Europe that includes the following modern countries – UK, France, Germany, Italy, Belgium, Switzerland, Denmark, Finland, Sweden, Norway, Netherlands, Portugal, Spain and other smaller states in the Western part of Europe. The problem with doing the graph this way is that it doesn’t control for population growth. Obviously the US expanded greatly in population between 1700 and 1950, crushing the rest of the world’s GDP by comparison, without anyone else necessarily getting any poorer. 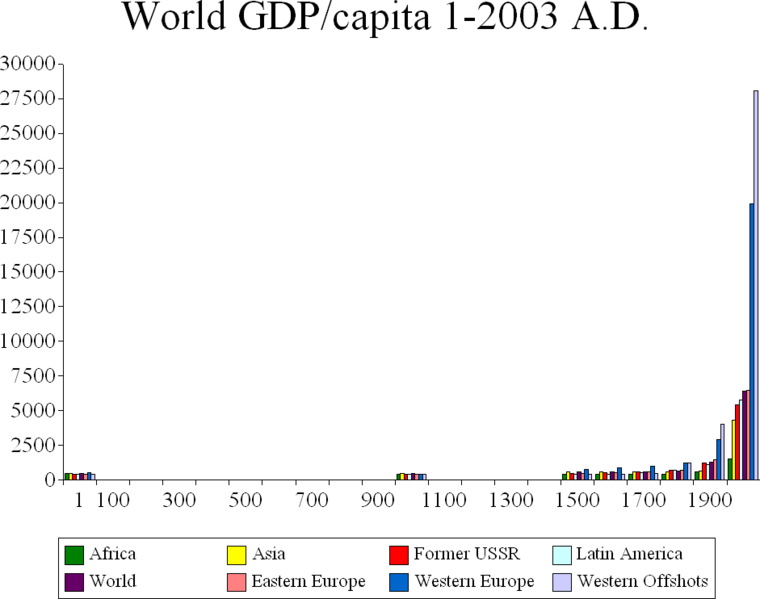 It would be nice if the graph included Africa, because I wonder how things like Mansa Musa’s gold mines would show up. Around the time of the Romans, “Europe” and the Middle East had similar levels of development, integration into global economy, etc. The fall of the Roman Empire coincided with the Middle East pulling ahead in math, science, and nice-looking buildings. Meanwhile, India and China were doing quite well for themselves, though it’s not clear from the graph how much of that is population. I would not be surprised to find similar numbers for per capita GDP at that time, though. Then around 1000, Europe starts to improve while the Middle East falls behind and stays there. I suspect this is in part because cousin marriage became more common in the Middle East between 0 and 1000 while simultaneously becoming less common in Europe, and because the Middle East probably didn’t have much arable land left to expand into and so population couldn’t increase very much, whereas the Germans started their big eastward migration about then, (The Ostsiedlung–goodness, it took me a while to figure out how that’s spelled.) increasing the number of Europeans in our cohort and spurring growth. India, meanwhile, went downhill for a long time, for I have no idea why reasons. China was doing great until quite recently, when it apparently went capootie. Why? I don’t know, but I think part of the effect is just Europe (and the US) suddenly pulling ahead, making China look less significant by comparison. So. Extrapolating backwards from what we know about the correlation between GDP and verbal IQ, I suspect Western Europe experienced a massive increase in IQ between 1000 and 1900. A large chunk of this increase was probably driven by the German eastward expansion, a rather major migration you’ve probably never heard of. (As HBD Chick says, “from a sociobiological point-of-view, probably the most underappreciated event in recent western european history. that and the reconquest of spain.”) Another large chunk was probably driven by various cultural factors unique to manorialism and Christianity. Windmills began popping up in Western Europe in the late 1100s (given that they seem to have started in France, England, and Flanders, rather than in areas geographically closer to the Middle East, it seems unlikely that the European windmills were inspired by earlier Middle Eastern windmills, but were instead a fairly independent invention. 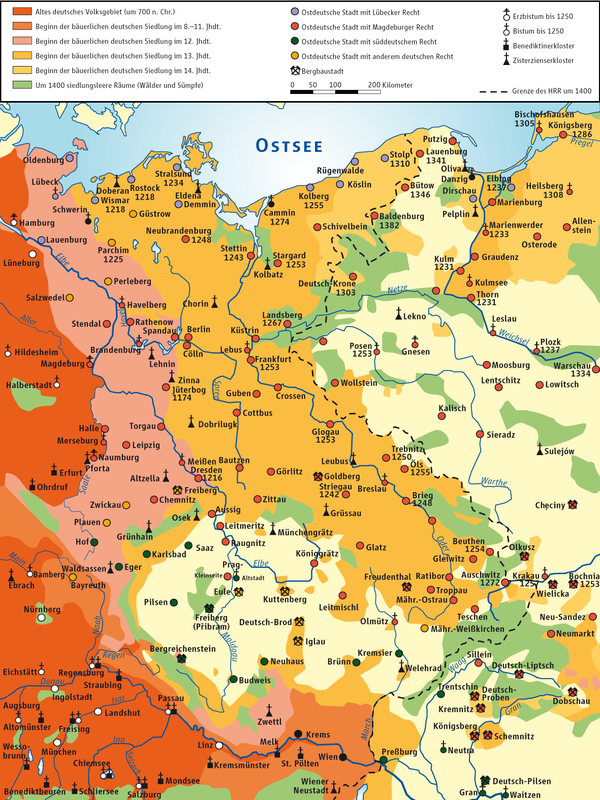 In short, by the 1300s, Europe was well on its way toward industrialization. 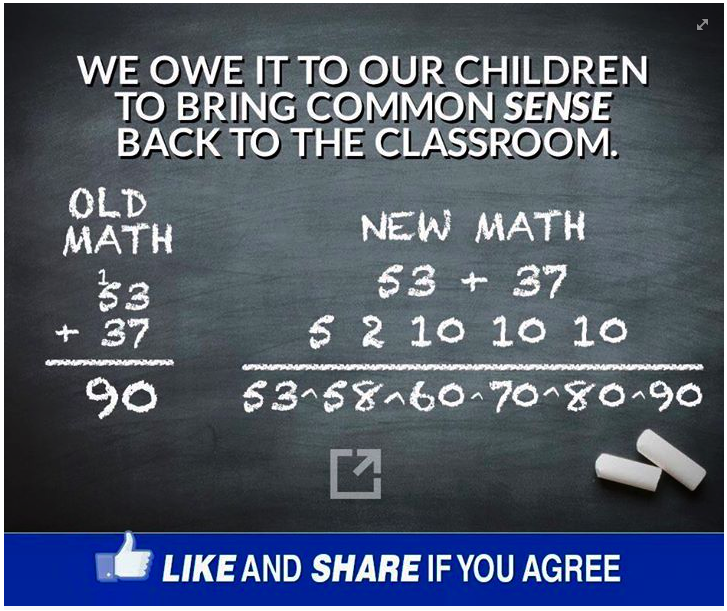 IMO, these things combined to produce a land where the clever could get ahead and have more children than the non-clever, where those who could figure out a new use or more efficient milling design could profit. The result, I suspect, was an increase in average IQs of about 10 to 15 points–perhaps 20 points in specific sub-groups, eg Ashkenazi Jews–with an overall widening of the spread toward the top end. So I was reading a conversation over at HBD Chick’s the other day about why some people take her work way too personally (and confrontationally,) even though it clearly isn’t meant that way, in which someone pointed out that even if she doesn’t exactly mean it that way, if you call people clannish or tribal, they’re bound to get offended, because nobody likes clannishness. But wait, I thought. I know people who like clannishness. This seems obvious when you consider that the majority of people who live in societies-that-are-more-clannish-than-mine probably like their societies and prefer their level of clannishness to my society’s level, otherwise they would take steps to change their society. Even if they might balk at the words like “clannish” or “tribal” (or the insinuation that their society has higher levels of in-breeding than some other society,) there are plenty of practical aspects of clannishness that some people actually like. In the clannish society, you can depend on your extended kin network to always have your back. 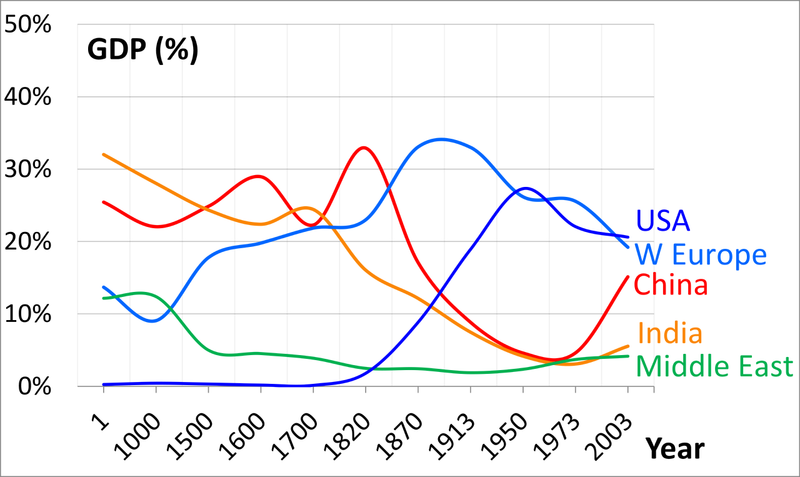 Clannish societies are generally very friendly–compare the outgoing friendliness of southern Italians to the more reserved-natured Germans. People with strong kin networks are born with a supply of friends, role models, advice givers, and potential business partners. Their kinfolk will even stick up for them, defending them against outsiders. The inverse of clannishness is atomization, and atomization is lonely and stressful. In the atomized society, you are stuck on your own, with no one to catch you if you fall. You might be a single mother or an only child, or a hikikomori. Either way, you’re alone–and most people don’t seem to cope well with loneliness. Some of these same people have gone through decades of loneliness in outbred societies. One friend had literally no friends for a decade, after losing a spouse to a divorce and a child and parent to death; two are considered unattractive and are perennially alone. Several have little to no relationship with their extended families; most live quite far from their nearest relatives. So even if people may not like being called “clannish” or “tribal,” these societies certainly have their fans.